Where else but Beaver Summer Camp would kids have the opportunity to sign up for one or two two-week, fun-filled sessions learning what it’s like to be a part of a genuine, modern circus and developing a multitude of circus skills under the guidance and support of experts? Acrobatics. Wire walking. Stilt walking. Juggling. Aerial fabrics. Globe balancing. Physical comedy. These are just a few of the many exhilarating areas explored by campers every day during the program. 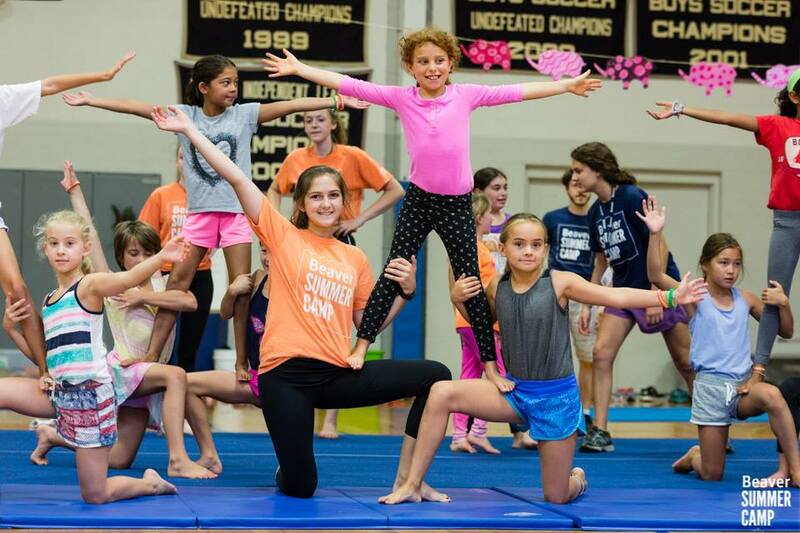 AT the end of each session, circus campers amaze families and fellow campers by demonstrating what they’ve learned throughout their program in incredibly impressive shows. Circus Camp days are structured but also allow for fun outside of the Circus space. There’s swimming, circus-style! 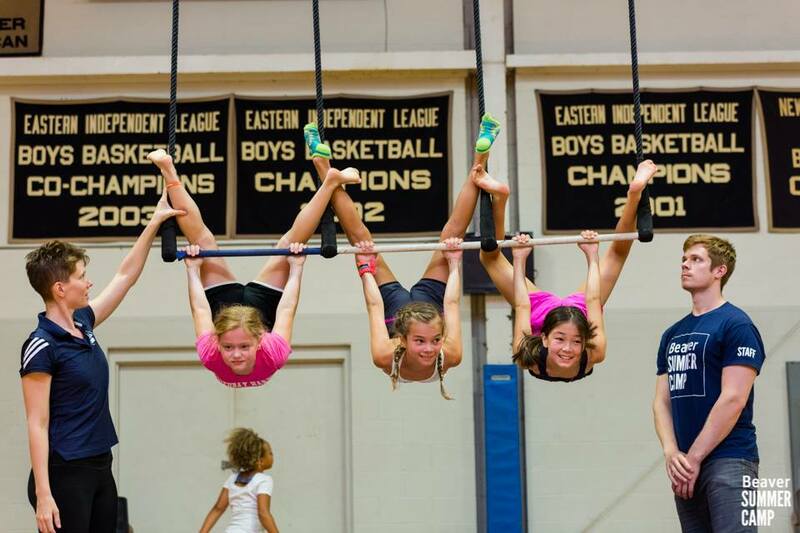 Campers improve focus and concentration, gain strength and flexibility, build self-confidence. An additional benefit involved in Circus Camp is the skill development. Says Jesse Dryden, co-director of the program, along with his wife, Alisan Funk, “One day you can’t do it and the next day you can.” Skill-related challenges are self-set; everything is progressive. 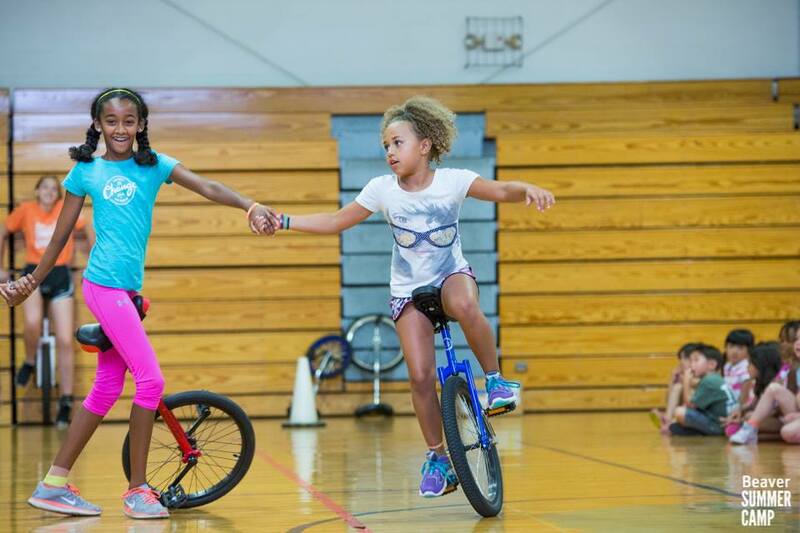 For example, when it comes to unicycle riding, campers proceed through three phases: they are companion walkers, wall walkers (using the wall for support), or, after being tested, independent gym walkers. Campers develop such pride in their own abilities and pride in their fellow campers. Another wonderful facet of the program, according to Jesse, is that “Kids can do everything they set their hearts on.” Jesse is creative director of Circus Smirkus; Alisan is head aerialist. 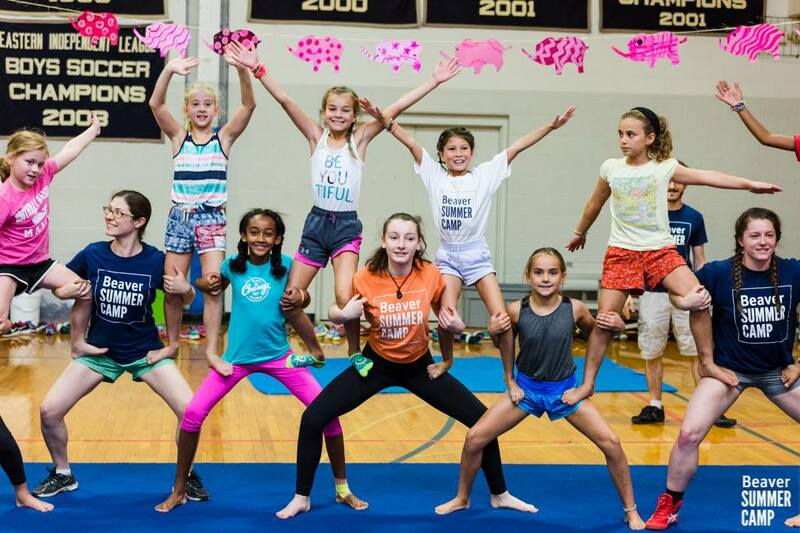 For more information on Beaver’s Specialty Camp, read about Boston’s Children Circus and check out this photo album of this session’s performers, and watch a cool video highlighting the fun.